TransCore has long recognized the power of RFID-based automatic equipment identification (AEI) to more reliably track rail cars and its contents. Our products and solutions integrate with our in-transit visibility, maintenance, repair yard, and inventory management service offerings to provide the transport industry with unique functionality. This provides seamless integration for rail, truck, barge, chassis container, and other intermodal applications. In 1991, the American Association of Railroads mandated a tagging standard to track all railcars. Today, every railcar in North America comes equipped with a TransCore tag. Our tags are encoded per the ISO 10374 container identification standard, and our tractor tags are encoded per the ATA standard for trucking applications. Our newest multiprotocol rail reader, train recording unit, and wireless products are designed to support the rail market’s transition to updated AEI technology. These industry-leading solutions are revolutionizing rail check-in, inspection, weighing, inventory, and check-out processes. With installations in 29 countries, TransCore is the leader in automatic equipment identification (AEI) for the rail industry, and we have set the standards by which all AEI is measured. Throughout the world and spanning five continents, TransCore has installed more than 10 million tags and 38,000 readers throughout the rail and intermodal industry. Our transportation tag and reader system provides an easy and inexpensive way to improve productivity and reduce costs. Transportation tags are mounted on railcars, locomotives, trailers, chassis, containers, and truck cabs with readers installed at strategic points, such as railroad interchange points and yards, gates, fuel track lanes, and maintenance facilities. As tagged equipment passes a reader, the tag identifies the equipment and the reader relays the time, date, or other programmed information to a host computer. 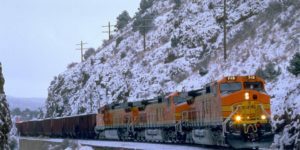 Intermodal and truck companies can use TransCore readers and tags to track chassis, containers, and other equipment as soon as it enters the terminal gates. For example, the serial number, time, and date of transaction is sent to the host computer the moment the tagged equipment passes a reader. Our systems also help ensure timeliness and accuracy and improve scheduling. Hands-free and wireless, these systems improve equipment and inventory accuracy, eliminate paperwork, and increase employee productivity by automating the equipment tracking procedures at the terminal. We provide logistics management and integrated supply chain tracking systems to customers on five continents. From rail to truck, we offer full distribution chain management solutions. RFID technology applied to transportation applications involves tracking assets (cars, railcars, trucks, trailers, shipping containers, etc.) at a high rate of speed (often exceeding 100 MPH) and at long distances. The value of the underlying assets being tracked in transportation applications is generally higher than the value of items being tracked in supply-chain applications. 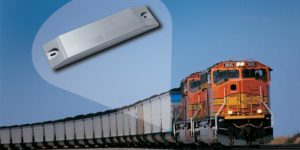 TransCore’s RFID rail tags (available in 902-928 and 2450 MHz bands) are designed for years of continued, reliable use in the harshest operating environments. RFID tags affixed to rail cars are subjected to every imaginable harsh environmental exposure (heat, cold, snow, ice, dirt, rain, oil, and in certain cases, temperatures over 350°, yet they are required to be installed once and operate indefinitely with 99%+ reliability. New tag technology now being introduced features high speed read/write capability, greatly enhanced data rate, memory capacity, and on-the-fly programming with security. After a multimillion dollar investment in research and development, TransCore recently introduced its next generation rail products. The new multiprotocol rail reader (MPRR) and train recording unit (TRU) are designed to support the rail market’s transition to updated automatic equipment identification (AEI) technology. TransCore provides two general classes of readers depending on application requirements: single protocol and multiprotocol (fixed mount or portable, e.g., Handheld). Performance and selection of an individual TransCore reader is wholly dependent on the application environment in which the reader is to be deployed. TransCore also manufactures and distributes a variety of antennas to support rail and intermodal applications. IntelliTrans has provided unified and proactive solutions to manage complex supply chain needs for over 25 years. Our cloud-based Control Tower empowers organizations to be nimble and efficient by providing global supply chain transparency. IntelliTrans prides itself on providing complete, timely, and accurate data that allows customers to automate business processes, improve customer service, and reduce operational costs. From real-time alerts to interactive data visualizations, IntelliTrans gives organizations the tools to ask deeper questions and deliver more impactful results. Learn More.